Featuring Anita Hollander. Photos by Andrew Brilliant/Brilliant Pictures. (Watertown, MA) I cannot begin to explain what a revelation it is to watch Anita Hollander perform Still Standing. 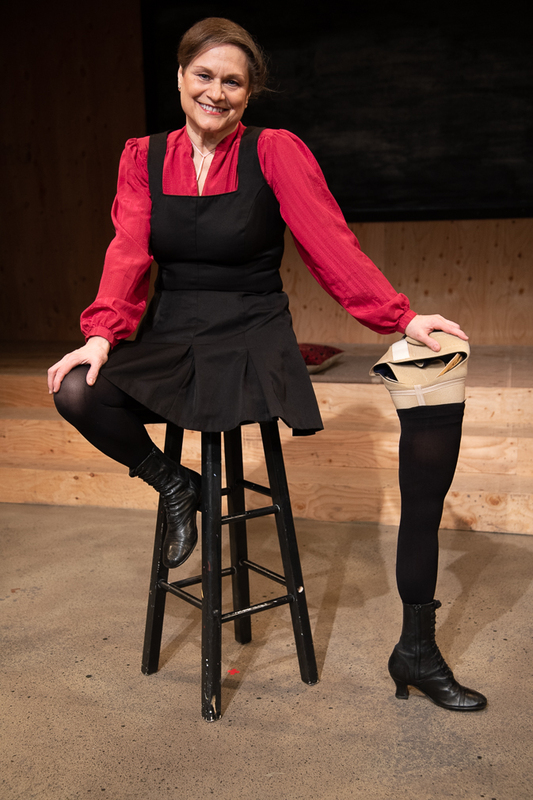 It is still unique for a disabled performer to play a disabled character or to just be themselves onstage. The standard for theatre productions are abled performers playing every role. Audiences are not accustomed to too much truth in their art. There was a time when I thought I’d never see people with experiences like mine grace the stage.